The very first Care Roadshows’ care home exhibition for 2017 is being hosted in the wonderful city of Glasgow. This is your chance to see and meet professionals within the care industry. If you have never been to one of our care home exhibitions and events, then you are missing out on valuable expertise and the opportunity to network with industry peers. At Care Roadshows, we are dedicated to hosting the most informative care home exhibition and event for industry professionals. Our events are held throughout the United Kingdom and are designed to help inspire and inform care managers, care home owners and other healthcare individuals. At our events and exhibitions for care homes, we have invited industry experts, care suppliers and other professionals within the field to share their knowledge, ideas and updates. You will find our events to be a useful and informative exercise for improving your knowledge within your field. Our company highly recommends that the following attend one of our events in the UK. When you attend one of our care home exhibitions and events, you will have the opportunity to attend workshops and seminars (all of which are free of charge). Every workshop or seminar will be hosted by experts who will demonstrate specialist products that will help improve your care home in a variety of different ways. If you would like the opportunity to be involved with exhibiting or speaking at any of our Care Roadshow exhibitions then please fill out a proposal form. 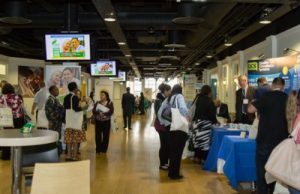 Why you need to visit Care Roadshows’ events? As you are aware, it is important to maintain a high level of care in your care home, and we understand that you can get so absorbed in the day-to-day running that you don’t have time to research new methods or products. By attending one of our specialist care homes exhibitions and events, you have the chance to see new products and services from respected suppliers. Our exhibitions and events for care homes is the time for you and your team to refresh your knowledge on the latest changes and events in the care sector. Many of the products on show are on a ‘try before you buy’ basis so that you can explore and see whether it is suitable for you. There are many special offers and exclusive show deals that are unique to that event only. All of our care home exhibitions and events give you the chance to gain advice and information from experts in the industry. This will present an opportunity for you to think up new ideas for your care home which could improve business and the levels of care. Last but not least, there is a FREE £100 cash prize draw! Have more questions? Click here to find out your answers today. Call us today for more information on our care home exhibitions and events.